FANBOY PLANET.com . : Star-Trek-Starfleet-Patch :. This week, it seems like if it's not Comic-Con, it's Star Trek. We knew that production began last week in Vancouver on the third installment of the modern Star Trek reboot, Star Trek Beyond. 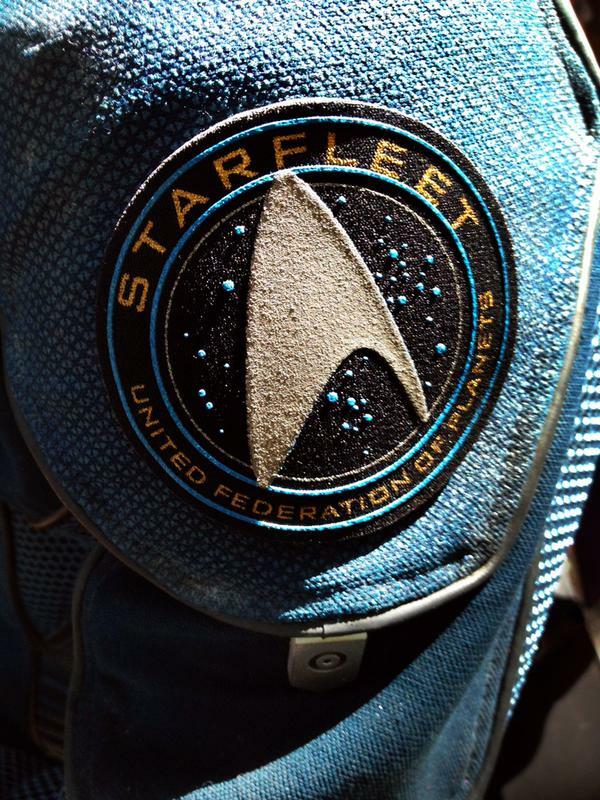 With one tweeted photograph, director Justin Lin confirmed a few things that fans had presumed from interviews with screenwriter/co-star Simon Pegg a month ago: that it is, indeed, called Star Trek Beyond (that was Lin's hashtag) and that this is not Starfleet Academy anymore -- the intrepid crew of the Enterprise would seem to finally be going where no one has gone before. We're hoping for a movie that captures the adventurous spirit of the original series without revisiting episodes from it. Since they burned up most of the good ones in Star Trek Into Darkness, all I can say is that if they ARE revisiting old episodes, please don't let them use "Spock's Brain."